Many of Tampa Bay’s craft breweries are dog-friendly, indoors and out, but some are better than others in terms of space, shade and chill level. 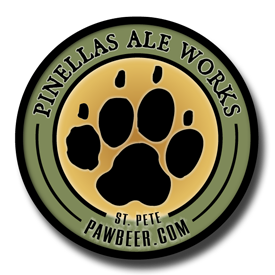 St. Petersburg’s Pinellas Ale Works, or PAW, is dog-themed, with beers such as Piddle pilsner and Milk Bone sweet stout. Their big, gated back patio is a great spot for dogs, though they’re allowed indoors in the air conditioning too. They host a yappy hour on the last Thursday of every month to benefit Friends of Strays. Previous Post: “1888” Wins at the 2018 Best Florida Beer Competition!